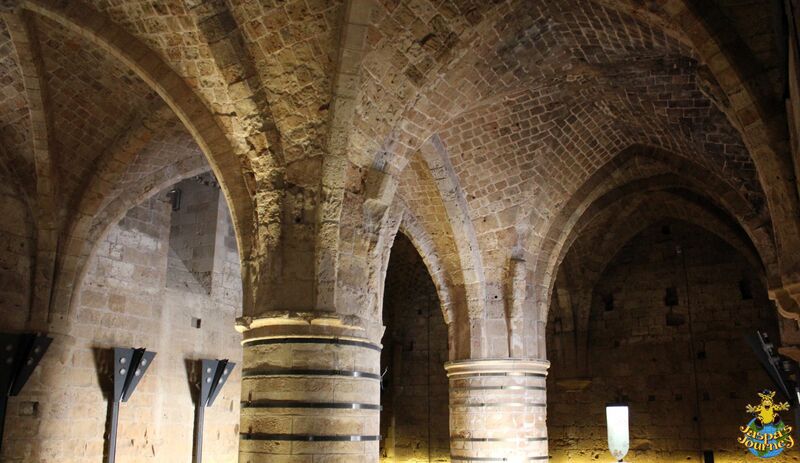 The historic centre of Acre (modern day Akko), a UNESCO World Heritage Site, is perhaps the best-preserved old town in Israel, second only to Jerusalem. 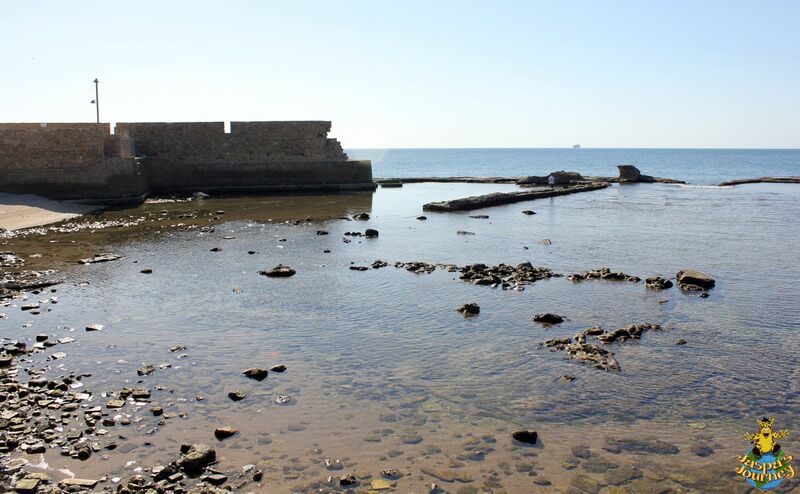 Acre was taken by the Crusaders at the very end of the 11th Century to be their main port in the Holy Lands. 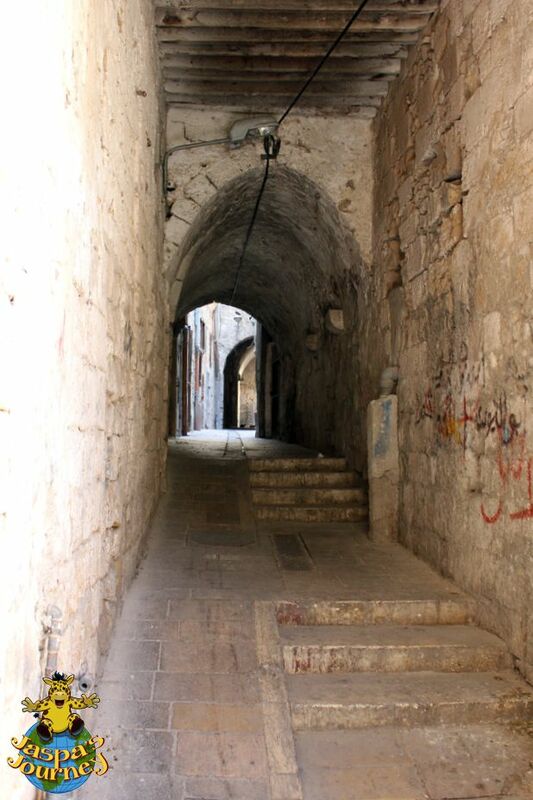 After the capture of Jerusalem by Muslim armies in the 13th Century, it became the primary stronghold of the Templars, an order of Crusader knights. 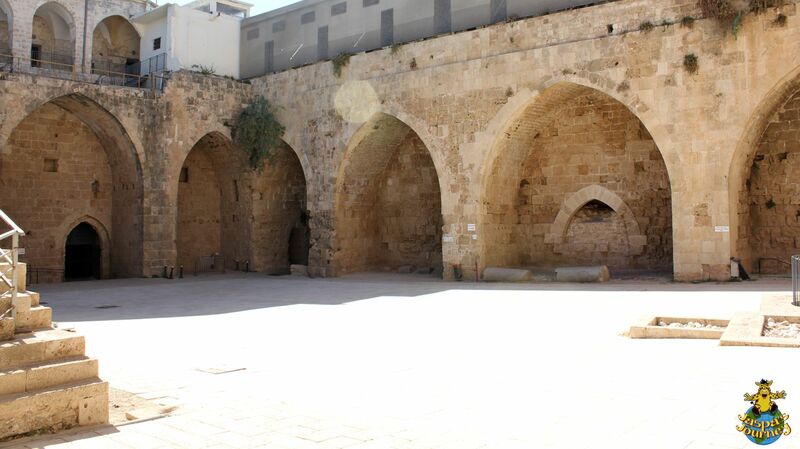 Acre was eventually the last Christian fortress in the region. Its fall in 1291 marked the end of the Holy Land Crusades. 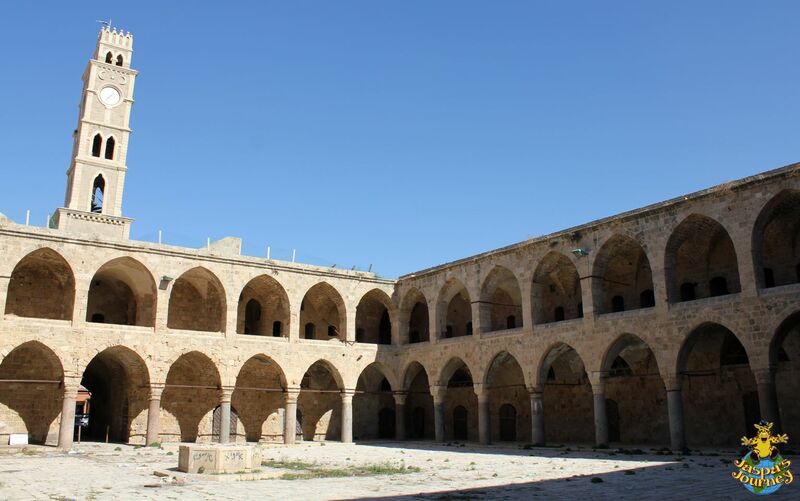 After almost 400 years of near dereliction, Acre was reoccupied by the Ottomans in the 18th Century. 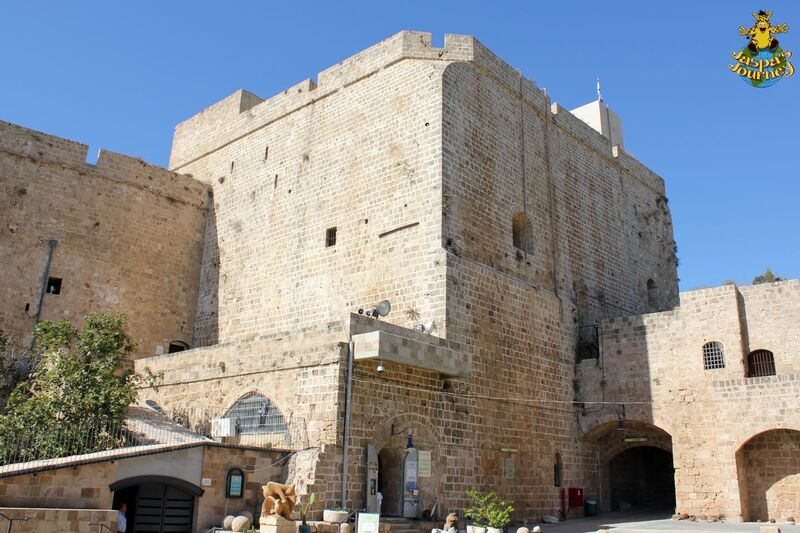 Most of the current old town dates back to this period, although much of it, including the imposing citadel, was built using the ruins of the Crusader city as foundations. 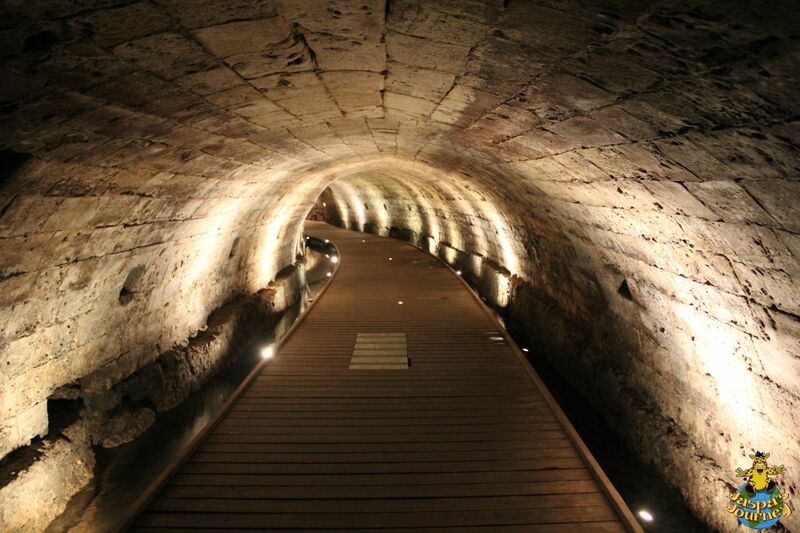 The street level of the old Templar town is about 25 feet below the current one. 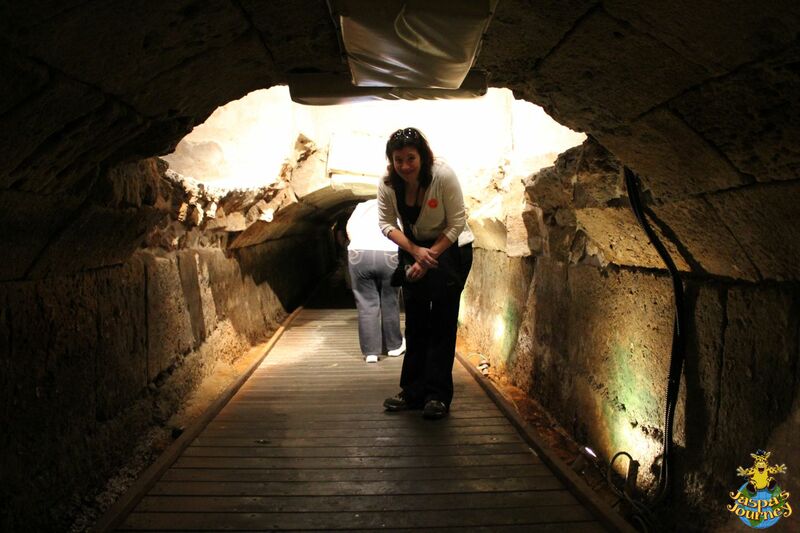 As a result, many Crusader buildings still survive, buried beneath the Ottoman city. Over the last few decades, ongoing excavations have revealed some of these structures, many of which are remarkably well preserved. 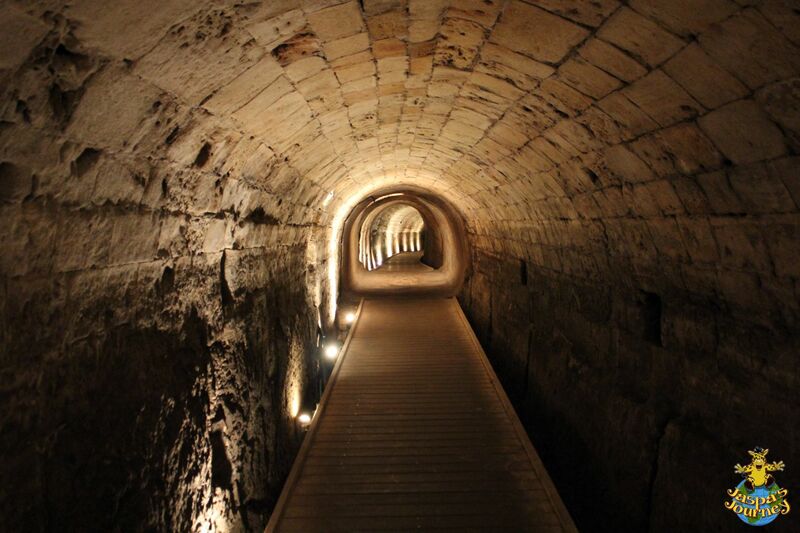 One of the highlights of Acre’s subterranean Crusader city is a tunnel that once connected the Templars’ fortress in the west to the port in the east. 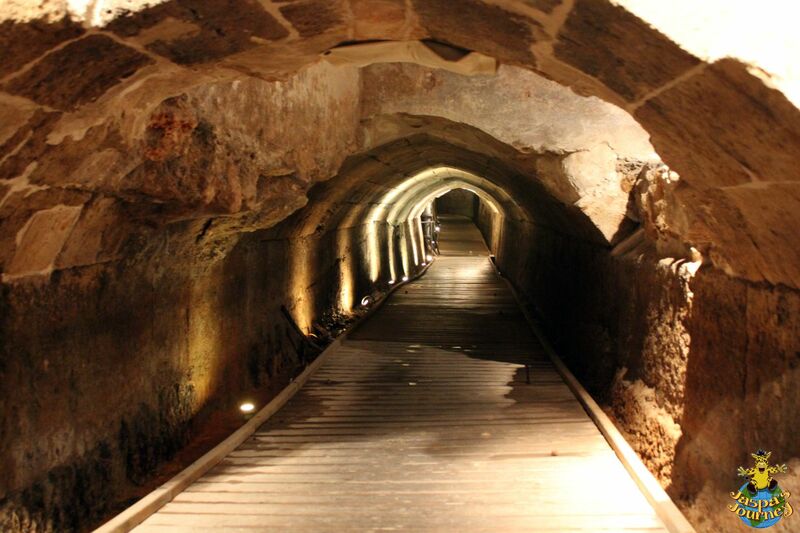 Today, the excavated smooth-sided tunnel stretches almost a quarter mile, from the modern lighthouse to the imposing Ottoman Khan al-Umdan (Hostel of the Pillars), which served as a kind of warehouse and hostel for merchants. This post was inspired by Cee’s Fun Foto Challenge, which this week is Things That Are Smooth, Jennifer’s One Word Photo Challenge, which is Basement, and Jo’s Monday Walk. For more images of our adventures in Israel, visit Rich and Sue’s Flickr Album 2010: Mediterranean cruise. If you’re the sort of person that loves a bit of fun and history on your travels, why not sign up and follow my continuing Journeys here at Jaspa’s Journal (on WordPress or Bloglovin’), or through my website, Facebook, Twitter, Instagram and Tumblr? 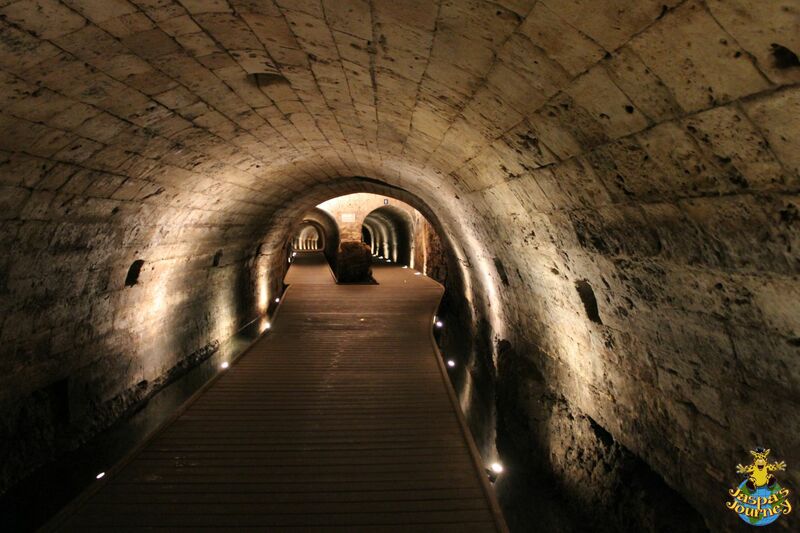 This entry was posted in Adventure, Asia, History, Travel, UNESCO World Heritage Site and tagged Acre, Akko, Cee's Fun Foto Challenge: Things That Are Smooth, Crusades, Israel, One Word Photo Challenge: Basement, Templar, tunnel. Bookmark the permalink. I’m going to have to change the books’ tagline, aren’t I, Irina?! How about ‘For Kids 8 to 180!’? 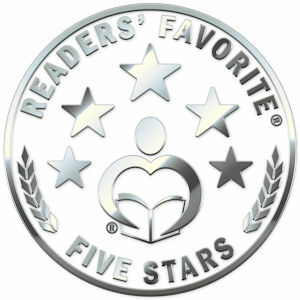 😀 Keep an eye out here and on my website (http://www.jaspasjourney.com/) for news of the impending re-publication of the first book in the series. You’re welcome. Looking forward to seeing more of your wonderful photos. What a good-looking and fascinating city, Jaspa! I wanted to see more 🙂 Many thanks for sharing. Always good to leave your readers wanting more, Jo! It’s an amazing place, that’s for sure.